Look at this candle holder! What an awesome, original gift for newlyweds, Valentine's Day, anniversaries, and all occasions where love brings hearts together. 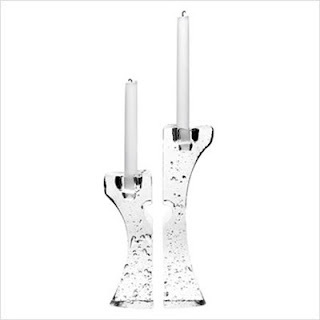 Connect looks like a candelabra, but is actually two crystal candlesticks designed to embrace and, when they do, form a heart as one. The very glass seems to effervesce with warmth and happiness. 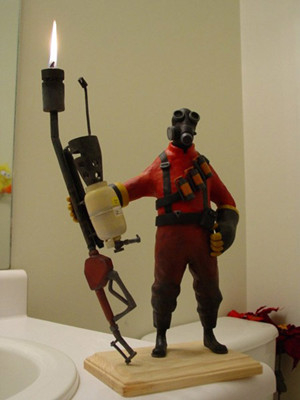 This TF2 custom model made by Quasimodox is a replica of the Pyro character in Team Fortress 2. The part that will amaze you is the detailed work on the weapon and fuel tank. In the game it burns up stuff in its path and now it turns into a neat candle holder. Hot stuff! 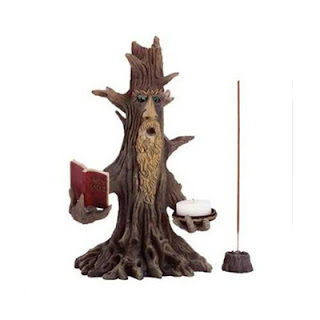 Let this wise old tree illuminate your room while it tells you tales during the night. 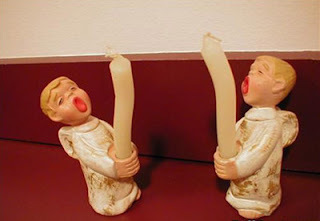 "Mom, the candlestick is too high to blow it." 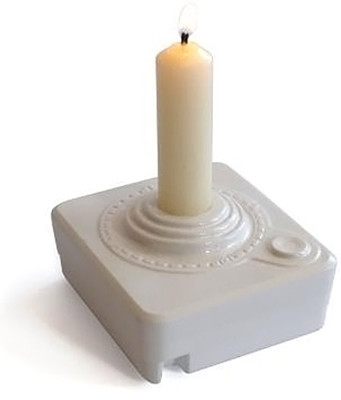 Atari candleholder, is it also your favorite?